Innovative inflate and repair cartridge for road and mountain bikes. 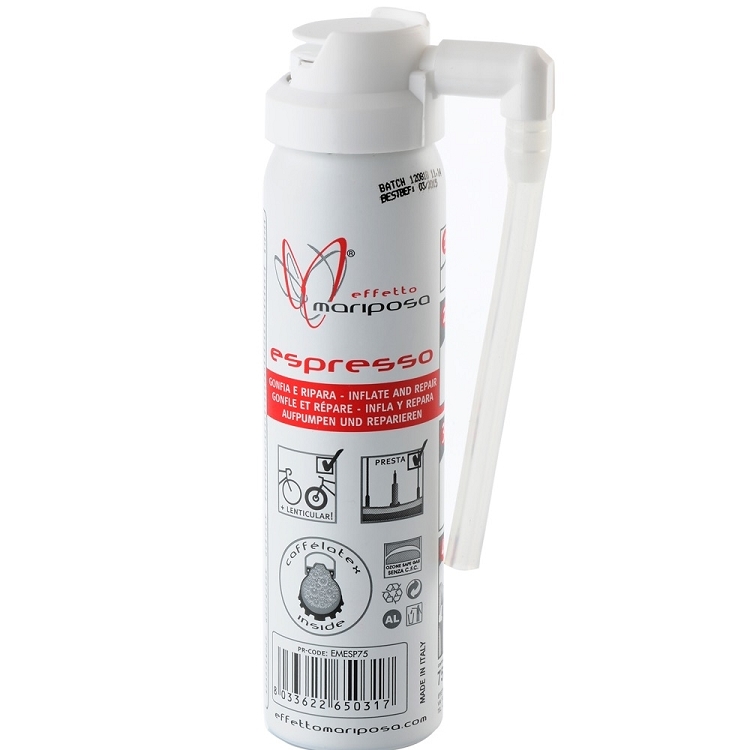 Espresso is perfect for road and off-road applications, fixing punctures on tube-type, tubeless, and tubular tires in 45 seconds or less. The flexible silicone tube of the nozzle fits directly on Presta valves, allowing the use of Espresso even with spokes close to the valve area or road disc wheels. To use the cartridge, just push the button on top of the cartridge in any direction to release the Caffelatex-based sealant. 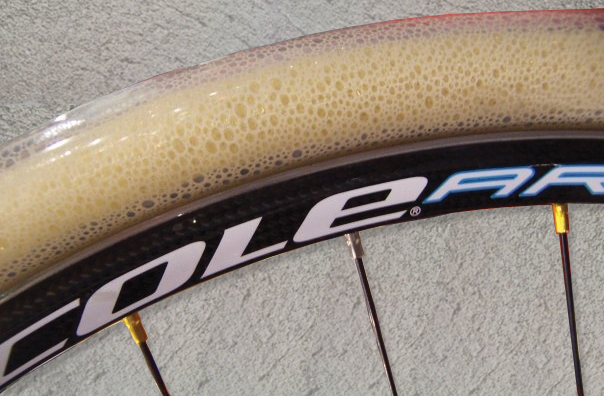 Thanks to the direct connection between the valve and the cartridge, the special repairing foam goes straight to the tire, without leaks. No ammonia; it is 100% tire, tube, and rim friendly. Less than one minute is needed to inflate and repair tires with sizes ranging from 700 x 20C (20-622) up to 26 x 2.50 (62-559). 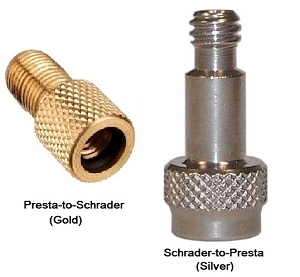 For Presta valves only, though a Schrader to Presta converter can be used in a pinch. The max achievable pressure on a road tires like the Clement Strada is 5 bars, and easily over 2 bars on MTB tires, including big section tires. The Espresso cartridge brings the road tire up to 'rideable' pressure. Espresso adds around 30-40g of weight, and when the liquid evaporates a solid weight of 18g. Espresso can fix punctures up to 1 mm. This product can only be shipped by ground to destinations within the Continental United States. This product cannot be shipped to Alaska, Hawaii, or Puerto Rico. ITriathalon:"we're sure that Espresso is a brilliant solution for your next competition"
This tiny cartridge saves me in a middle of a heavy rain ride yesterday 20 miles from home. 60 Seconds - Just take it out from the back pocket Inflate - And back to the group... A must have item to any ride ! Saved me on the first lap of a 6 hour MTB race... only cost me 3 minutes! With a large volume tire (29 x 2.4) you may meed to top the air off a little but other then that it''s perfect.